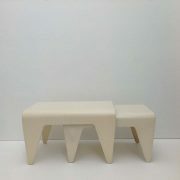 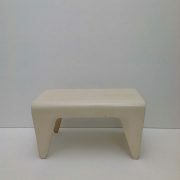 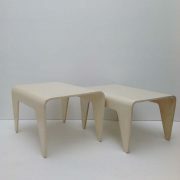 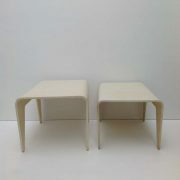 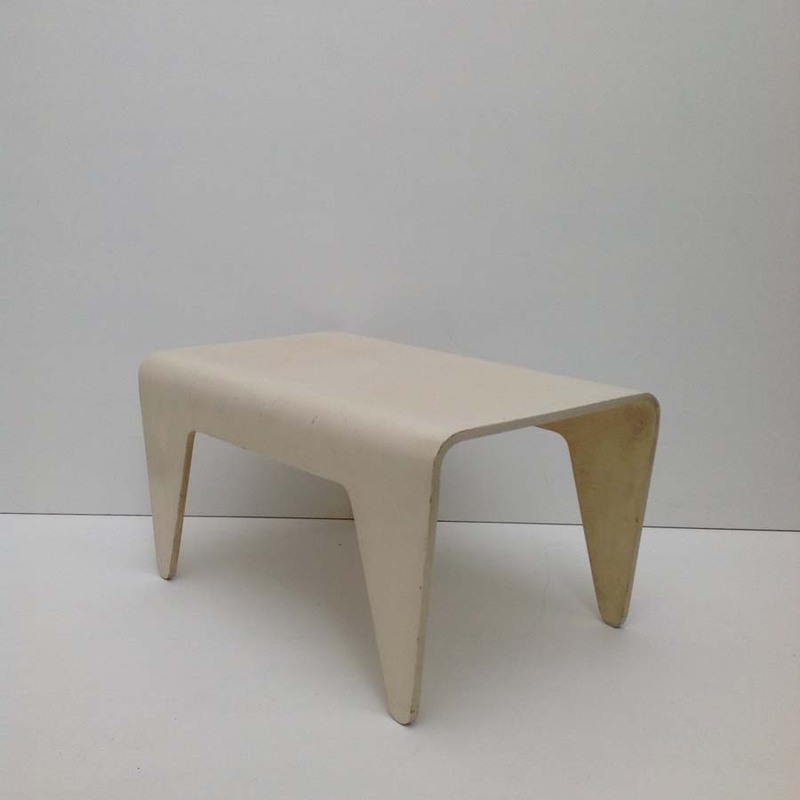 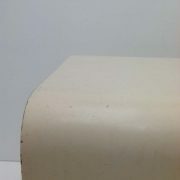 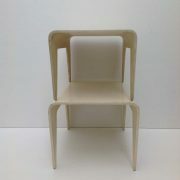 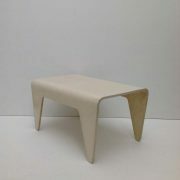 These tables are one of the few classic bentply designs of Breuer’s short ‘London’ period for Jack Pritchard’s Isokon. 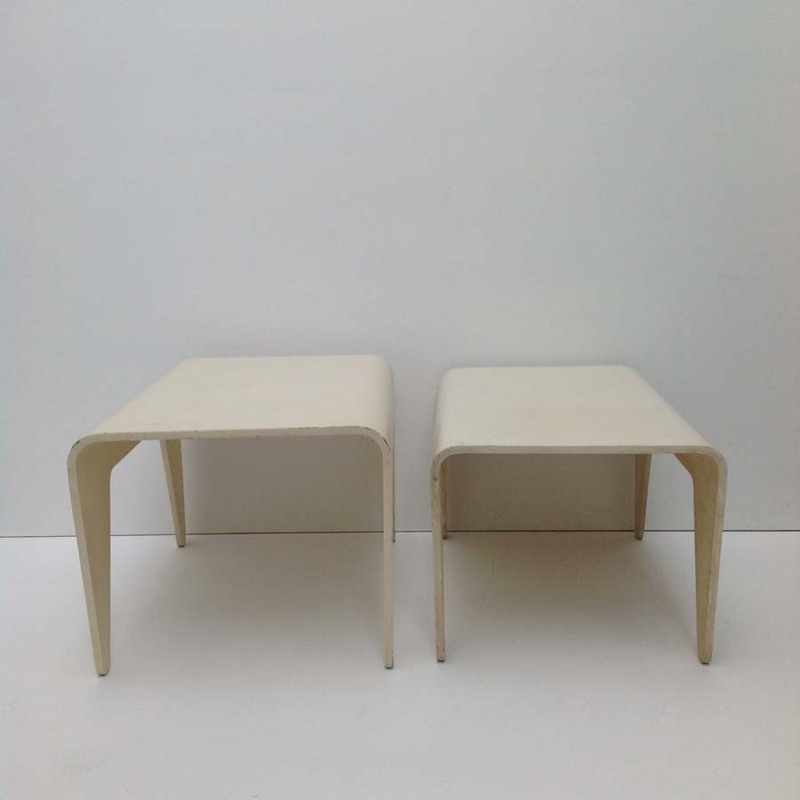 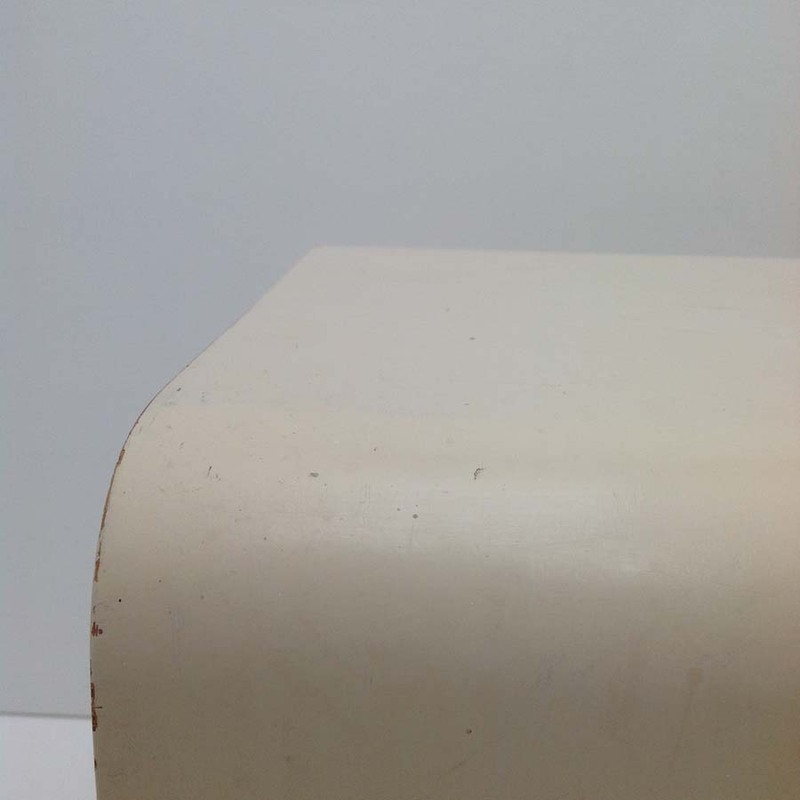 These are post-war examples finished in a white/cream lacquer in good condition. 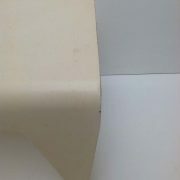 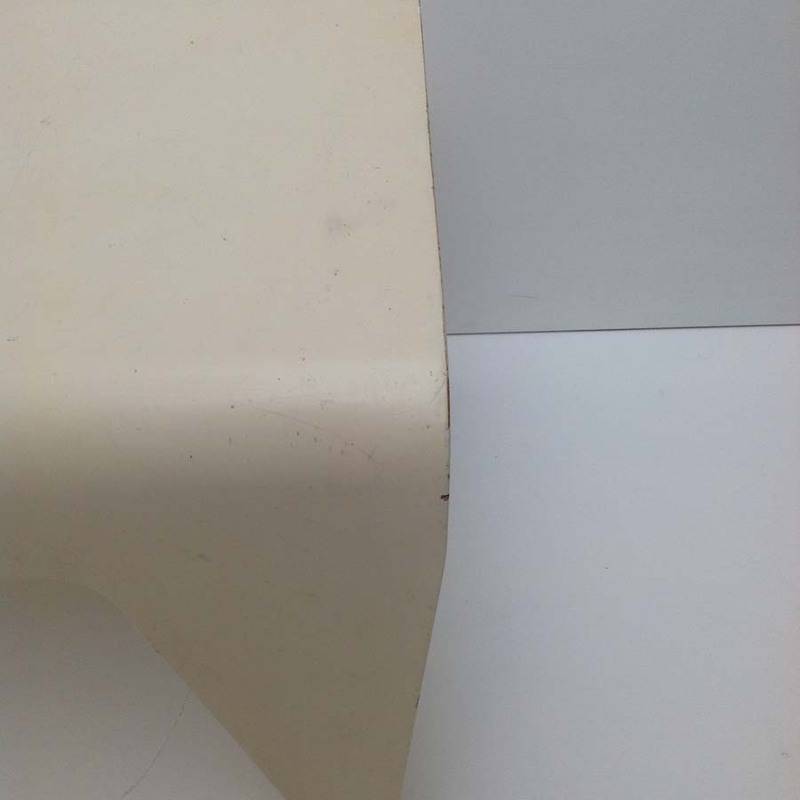 Slightly different hues of white as obtained separately.